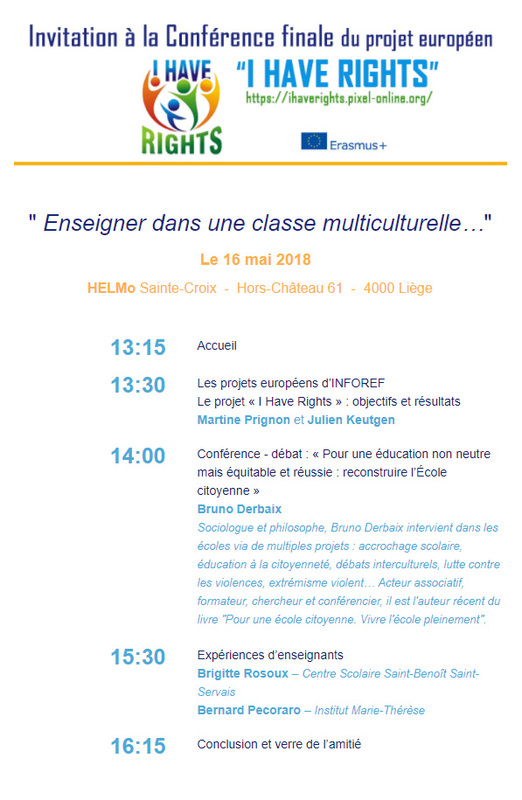 The final multipler event, entitled "Teaching iin a multicultural class...", took place at HELMo Sainte-Croix, a teacher training college in Liège. 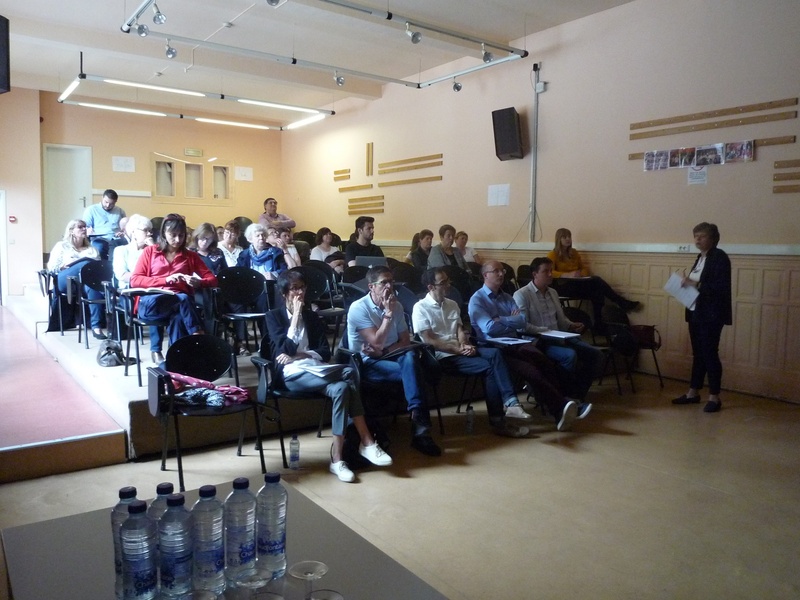 The audience of about thirty people was made up of teachers and educators from secondary schools of the Province of Liège, teachers and future teachers of HELMo Sainte-Croix, education stakeholders of associations, school mediation services, youth support and the diocese of Liège. The afternoon started with a presentation of INFOREF and its activities, with a focus on its ongoing European projects, with a transition to “I Have Rights”. 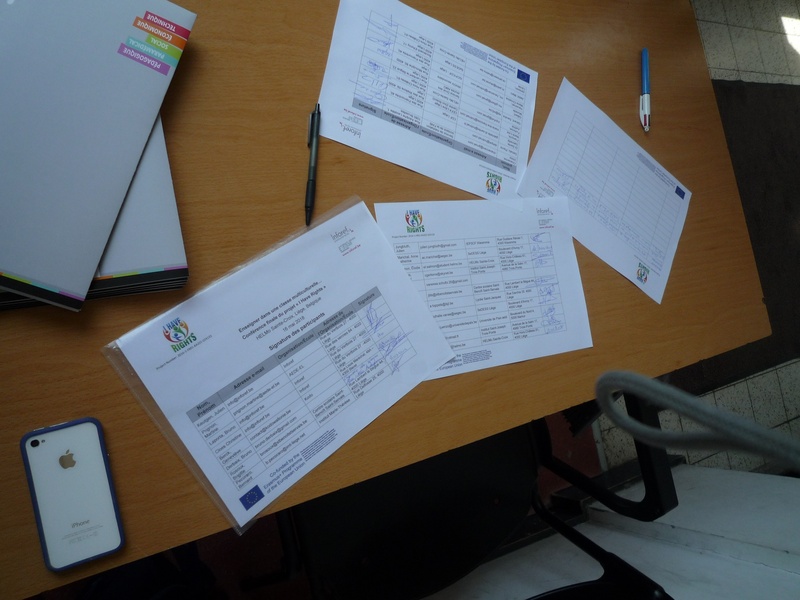 Using the project portal, Julien Keutgen described the project objectives and the three intellectual outputs. He then addressed more in details the results of the survey conducted in the beginning of the project, using the graphs from the national survey report, with a focus on the questions related to multiculturalism, main topic of the event (the full national report was among the material distributed to all audience members). Bruno Derbaix, former teacher, sociologist and philosophers, presented the “École citoyenne” initiative (selected as best practice in “I Have Rights”), starting with a definition of the concept of “citizenship” in the context of education and the legal texts on the matter. He then described the different types of diversity in a school, addressed teachers’ problem of fostering human rights and fight hatred in class while complying with school neutrality, and talked about his experience of implementing citizenship, justice and fairness in schools to break barriers between groups at school and foster problem-solving. This involves setting rules that have been written and approved by all involved parties, including students. The presentation was followed by teachers’ questions and comments regarding their own experience and difficulties. 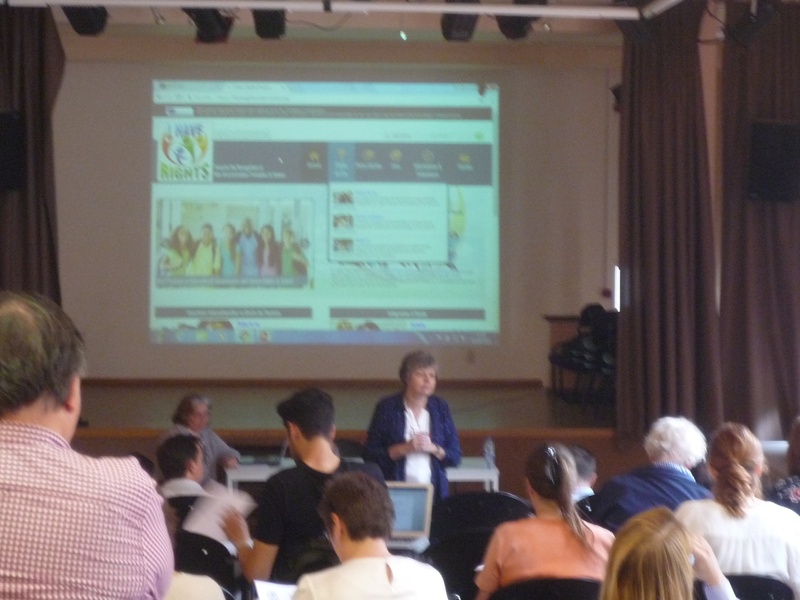 The afternoon was concluded with the experiences shared by two teachers who participated in “I Have Rights”. Brigitte Rosoux, History and Religion teacher at Centre scolaire Saint-Benoît Saint-Servais (associated school in “I have Rights”), explained how her Muslims students were dismayed by how Islam was addressed in history courses (mostly through fundamentalism), and how she was herself disturbed by what she heard some her students say about immigrants. This led to different initiatives to, foster open-mindedness, including letting students share their culture in different ways (songs, food), and meeting relevant organisations and stakeholders present religion and immigration under a better light to student. Brigitte Rosoux’s initiatives were selected as best practices in “I Have Rights”. 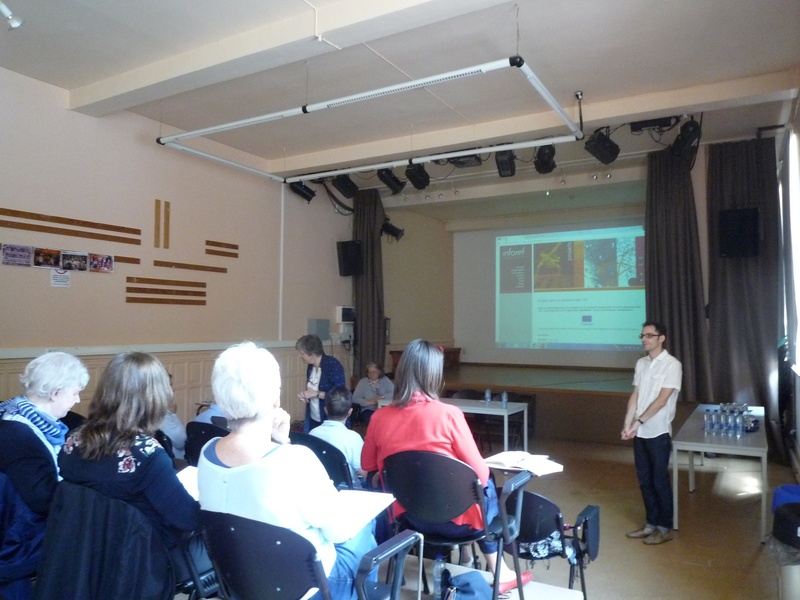 Bernard Pecoraro, from institute Marie-Thérèse (associated school in “I Have Rights”), participated in the training organised by the University of Siena in the framework of the project. He explained in what ways the contexts and attitudes varied or converged in the six countries of the project partnership. The presentations were followed by further discussions between attendants and speakers. The project and all its activities were detailed to an audience of relevant stakeholders, including teachers and future teachers, mostly from schools that were not involved in the project. The participants also received a summary of the Belgian report written for IO1 and examples of case studies from Belgium and France. The participants reacted positively and constructive discussions took place after each presentation.